I was asked by Naturelly Jelly Juice?if we’d like to try their jelly juice pouches and of course we jumped at the chance. We love trying new foods, and as these pouches are aimed at age 1+ it’s another new thing for H to try. Naturelly Jelly is?actually supposed to be brilliant for school age children too – let’s face it any child of any age, would happily snack on jelly (and this isn’t sugary, it’s 70% fruit juice!). Naturelly have just launched their jelly juice pouches in 250 Boots stores this month, so they’ll be really easy for anyone to get hold of and try. Actually they’re so excited about this they’re giving me 36 pouches (12 of each flavour) to giveaway, along with 9 runner up prizes of a voucher to redeem a free Naturelly pouch! What an amazing prize! So first off, enter at the bottom?to be in with a chance. By the way, that’s a first prize worth over ?40!! So, let me tell you a bit more about Naturelly as you probably haven’t heard of it yet.
? * ?it’s actually made from:?70% fruit juice, 30% water and a natural thickener/gelling agent called Gellan Gum, which is a natural dietary fibre and thickener which is gelatine free, to give it the texture and appearance of jelly.?? That’s quite a few reasons to like these pouches, isn’t it? Well to add to that, the taste test reveals they’re lovely! We also really like them fresh from the fridge and cold. Yes, I’ve tried tem too! They were rather refreshing in the hot weather last week!? *Enter here to?win a case of 12 of each flavour (36 pouches) or perhaps one of 9?runner up vouchers… (sorry, UK entrants only!)? The winner will have 14 days in which to respond to their winning email (Naturelly will coordinate all prizes with winners).? Have you tried Naturelly? What did you think? PS. ?Check out the Naturelly website (and their Facebook, Instagram & Twitter) for additional competitions, you might win a free box of 12 pouches! Disclaimer: We were sent a few pouches to try and review, and the giveaway is provided by Naturelly – but as always, all opinions are my own! They sound tasty, and I guess in the little pouches kids will enjoy the ‘drinking’ process. Oh such a good idea! My girls really like jelly but taking jelly pots to school in their packed lunch boxes cause so much mess we tend to avoid that option now. These pouches are definitely less messy! Thanks so much for linking up at #KCACOLS. Hope you come back again next Sunday. My little guy really hated jelly so I’d be interested to see if he likes these – maybe the pouch would make the texture more palatable for him. 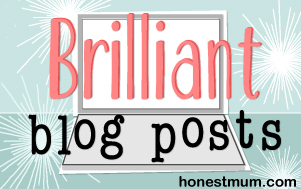 Have you read our Naturelly Brilliant Blogger Reviews? - Naturelly Jelly Juice on Toddler puzzles: Orchard Toys Once Upon A Time puzzle?